Lamaze is so much more than the breathing techniques we are known for. Lamaze welcomes and respects all individuals and families on this journey from every corner of the world. Our goal is simple: we want all parents to feel confident, supported and powerful as they ask questions, make decisions, and navigate their path through pregnancy, birth and parenthood. Six decades of research and experience have taught us that birth is transformative and that every family deserves a safe and healthy birth experience. Our evidence-based Six Healthy Birth Practices are the basis of Lamaze education, which teaches about the safest and healthiest practices for a safe and healthy birth. Supporting you with science-backed pregnancy, birth and parenting information taught by certified childbirth educators. Guiding you as you navigate all of your options, and their benefits and risks. Helping you understand how your body was designed for birth, and encouraging you to work with your body’s natural abilities. Providing strategies for comfort and coping with pain during labor, reducing unnecessary medical interventions, and receiving continuous support during labor and birth. Encouraging bonding between you and your baby, with the importance of skin-to-skin contact and time to get to know your new baby after birth. Working closely with their families, health care providers and Lamaze educators, millions of pregnant women have achieved their desired childbirth outcomes using Lamaze practices. 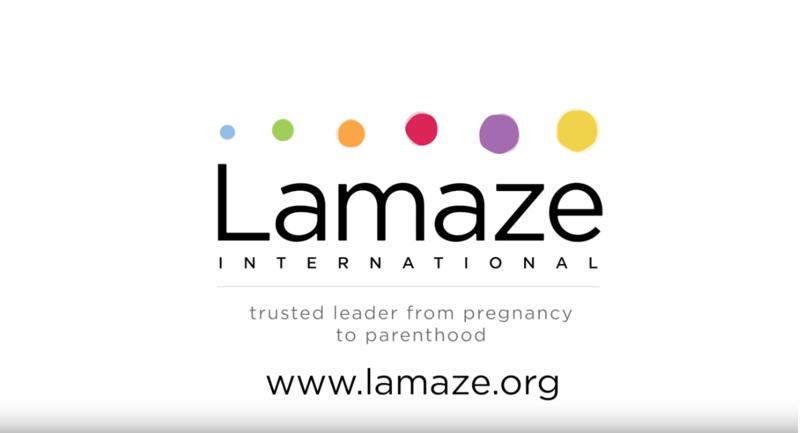 The mission of Lamaze International is to advance safe and healthy pregnancy, birth and early parenting through evidence-based education and advocacy. Pregnancy is a normal, natural life event. Women's bodies are designed to nourish and nurture their babies through pregnancy. The months of pregnancy are necessary for babies to develop and grow, for women's bodies to prepare for birth and breastfeeding, and for women to become mothers. Pregnancy provides an opportunity for parents to begin forming lifelong bonds with their babies. A good support system, a healthy lifestyle and the ability to cope with the stresses of life promote a healthy pregnancy, a healthy birth and a healthy baby. The health care system and care provider can increase or decrease a woman's confidence in the normality of pregnancy and in her ability to have a healthy baby. Lamaze education helps women to gain confidence in their bodies, to trust their innate ability to give birth and to make informed decisions about pregnancy, birth, breastfeeding and parenting. Women have an innate ability to give birth. Lamaze childbirth education empowers women to make informed choices in healthcare and take responsibility for their health, and to trust their innate ability to give birth. Positive parenting is vital to the physical, emotional and spiritual health of our children, ourselves and our society. A safe, healthy birth experience provides a strong foundation for parenting. Parenting is joyful, important, challenging and deeply satisfying work that is worthy of everyone's best efforts. Parenting begins before birth. The intimate connection between children and their parents must be respected and protected from the moment of birth and throughout life. Parents play unique, irreplaceable roles in their children's lives. Babies and children thrive in close, consistent interaction with their parents. Parenting is a learned art; our most important teachers are our own parents, our family and our children. Good parenting requires the support of family, friends and community. Knowledge and support enhance parents' confidence and ability to make informed decisions that meet the needs of their children and themselves.